Greetings friends! It is finally time to return our attention back our current project - CryoFall! And there couldn't be a better time than now for that. CryoFall is finally launched! 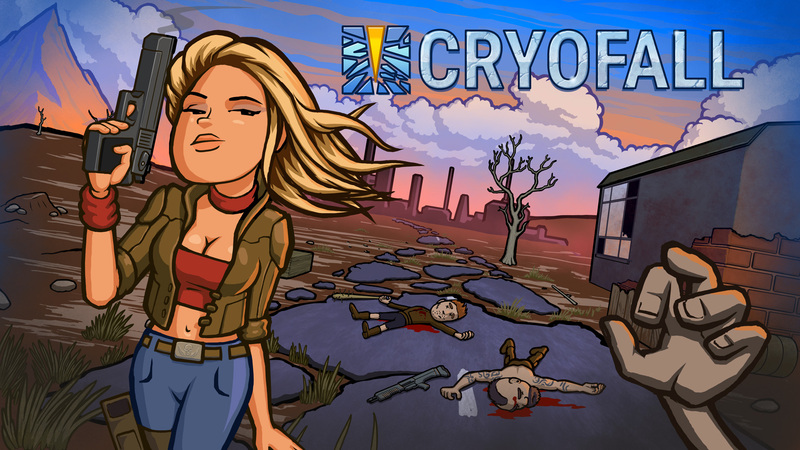 And not only that, but CryoFall is available completely for free during its early alpha period! We would like everybody to give it a try without any strings attached, voice their opinions and participate in its development as much as possible for the next couple of months. Yes, we plan keep it completely free for everybody for the time being! Currently our main task is to complete the new terrain system to bring the game's look up to modern standards. But we are also working on new features and content in parallel to that. Hopefully, it should be completed within a month or so. It will be the last mandatory feature needed for wider public release, as we are still keeping CryoFall low profile at the moment and not doing any kind of promotional campaigns until it is ready. As soon as this new terrain system is complete we are planning to launch large PR campaign to make the gaming world know that this game exists and bring new players in! Our new dev. blog is here. The game is practically ready for the Open Alpha and you can read more about #CryoFall in our entry #31! Our new dev. blog, describing the pre-launch prepearations! Claiming land ownership in CryoFall - read our new Dev. blog entry #29. More visual goodness in the world of CryoFall, read on in our Dev. Blog #28! Looks good. Give me two!